View Full Size for details. If the Calendar does not display correctly in Internet Explorer Follow these instructions or use another browser. © Louisiana Photographic Society, 2016. Unauthorized use and/or duplication of this material or images/photographs without express and written permission from author and/or owner is strictly prohibited. 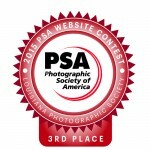 Excerpts and links may be used, provided that full and clear credit is given to the photographer and Louisiana Photographic Society with appropriate and specific direction to the original content.